By way of quick review, a default Curve is a straight diagonal line, from 0,0 at lower left to 255,255 at upper right. You can see this default line in the background of the Curves panel shown. 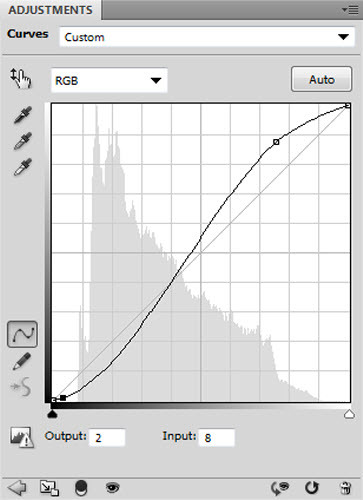 If you increase the slope of the curve—in other words, make it steeper or more vertical—in Normal blend mode, you increase both contrast and saturation. That’s what was done above. Note: To make sure it would show up on your screen, I’ve made a much more severe adjustment in this Curve than I ever would in a single Curve in an actual image. It now has more separation between the darker and lighter tones than the original, and the orange colors are more intense. 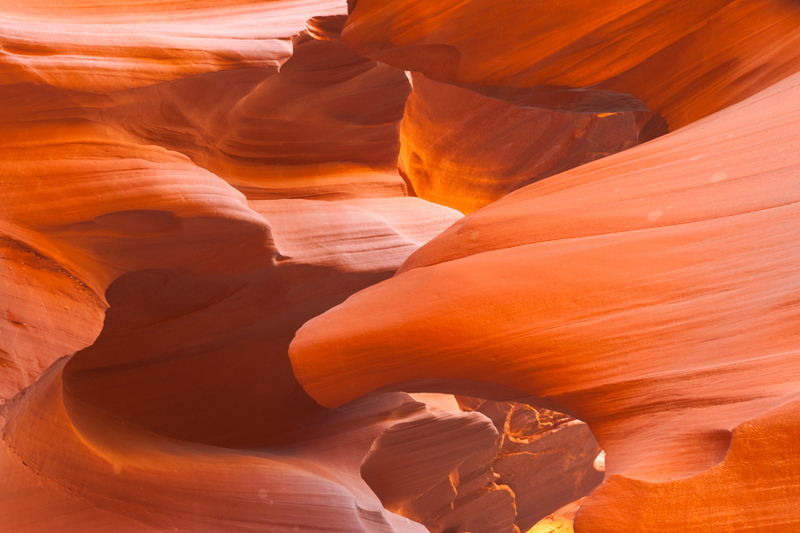 The image has kept the better separation of tones, but has kept the original orange color. Now, the image has much more intense orange color, but has lost the crispness of the increased contrast, especially in the shadows. Of course, none of these images are finished products. They have all been overdone to demonstrate the effects of adjusting saturation and contrast. Once you understand what they are, how they affect your image, and how to adjust them, you can decide how much contrast and saturation works best for each image. As I’m sure you’ve surmised, there is a lot more to fully understanding contrast and saturation than could be posted in this introduction. My hope is that these posts will give you a better understanding of a topic, and spur you to experiment with it on your own.